Danny is a senior associate in the commercial department of Zhong Lun Hong Kong, which has been awarded as the Hong Kong Office of PRC Law Firm of the Year in the Asian Legal Business Law Awards 2017. His practice is focused on cross-border mergers and acquisitions, corporate finance and general corporate commercial. Danny deals with regulatory issues affecting listed companies, investment advisers, banks and trustees under the Hong Kong securities law including the Listing Rules and the Takeovers Code. He also represents issuers and investment banks in initial public offerings on the main board of The Stock Exchange of Hong Kong Limited. 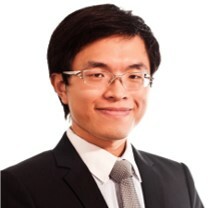 Danny is one of very few Hong Kong lawyers who passed the PRC bar exam in his first attempt and became dually qualified to practise laws in Hong Kong and the mainland China. Danny has a profound understanding of the interpretation and application of the PRC laws in the cross-border context after having accumulated years of experience in serving corporate clients at our Hong Kong and Beijing offices.